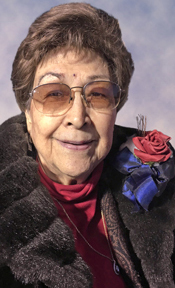 Memorial services are scheduled for 10 a.m. Saturday, Jan. 21, at Centre Avenue Baptist Church for Gladys Irine Ellis of Artesia. Ellis, 77, passed away Monday, Jan. 16, 2017, in Artesia. Rev. G. Eric Kaiser and Bro. Dennis Davis will officiate at the services. Graveside services will be held at a later date at Woodbine Cemetery. Gladys was born Feb. 28, 1939, in Artesia to Harry and Birdie (Swinford) Pinson. On Oct. 8, 1955, she married Robert Ellis Sr. in Artesia. One of her greatest accomplishments in life was being a wife and mother to her five children. A longtime homemaker and caregiver to many, Gladys was also a seamstress. Quilting for newcomers to the family by way of marriage and for her new grandbabies and great-grandbabies was her passion. She also loved to sing old hymns in church and to travel and attend gun shows with her beloved husband. Survivors include her husband of 61 years, Robert; daughters Diana Harvey and husband Danny, and Debbra Garrett and husband Kenny, both of Artesia; sons Robert W. Ellis Jr. and fiancée Tonya Rank, and Ricky Ellis and wife Linda, both of Artesia; sisters Katy Pollock and husband Jim, and Onie Davis and husband Bob, both of Artesia; brother Willie Pinson and wife Denise of Artesia; sister-in-law LaRue Pinson of Artesia; grandchildren Kandice Barley and husband Wesley, Nathan Harvey, Brenden Harvey and wife Heather, Casey Ellis, and Geno Ellis, all of Artesia, Jehra Hedgecock of Carlsbad, Kortney Garrett and wife Megan, Joshua Garrett and wife Tammie, Kenzie Taylor and husband Brandt, and Stacy Harvey, all of Lubbock, Texas, Eric Kaiser and wife Erica of Plains, Texas, and Kelsie Sanchez and husband Jesus of Midland, Texas; great-grandchildren Aidan Kaiser Barley, Millie Barley, Maxi-Mae Barley, Kaylan Wood Harvey, Caliber Harvey, and Corbin Davis Harvey-Mayberry, all of Artesia, little David Hedgecock of Carlsbad, Austin Harvey, JD Harvey, Kaydence Garrett, Parker Garrett, Kaleb Garrett, Logan D. Garrett, Bryant Bilberry, Easton Taylor and Embree Taylor, all of Lubbock, and Gus Kaiser of Plains; and numerous nieces and nephews. She was preceded in death by her parents; brothers Walter Robert Pinson, M.T. “Pinky” Pinson, and Charles Ted Pinson; daughter Donna Denine Barber; and grandson D. Robert-Martin Harvey.